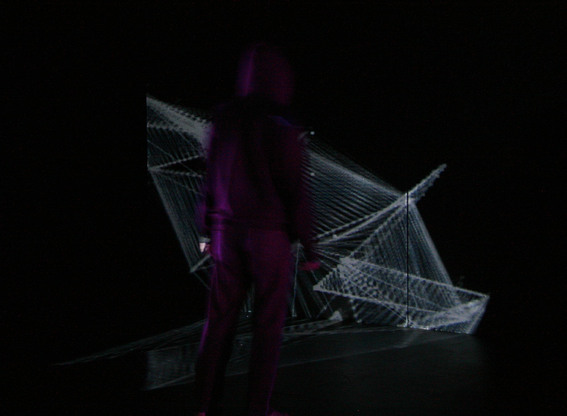 V Excerpt 2012 from Toby Knyvett on Vimeo. Urban mythmaker Justin Shoulder creates a unique fusion of live performance and theatrical ceremony. Faith speaks of a God that created the angels pure and good, but subjected them to a test. Some passed triumphantly, while others rebelled and were eternally tortured in Hell. These are the devils and demons; implanting passion and obsession, they can utterly derange human faculties. Calling to life a demon for today, the creature ‘V’ is manifest. In a ceremony of the senses the theatre becomes an altar for V to revel in the beauty and horror of contemporary idolatry and its fifteen minutes of fame. Video taken from Next Wave Festival, Melbourne 2012. Filmed by Takeshi Kondo. 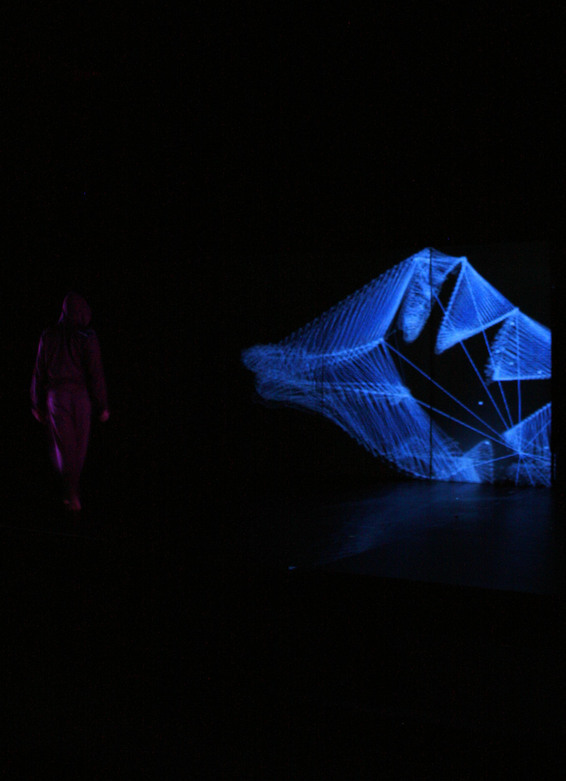 Introduction to tracking live performers using threshold tracking and infrared light. Version 1 /5/7/12 – Created. Eventually going to update this with some images. This is an introduction to the science and principles behind using infrared light to track the position and pose of performers live. 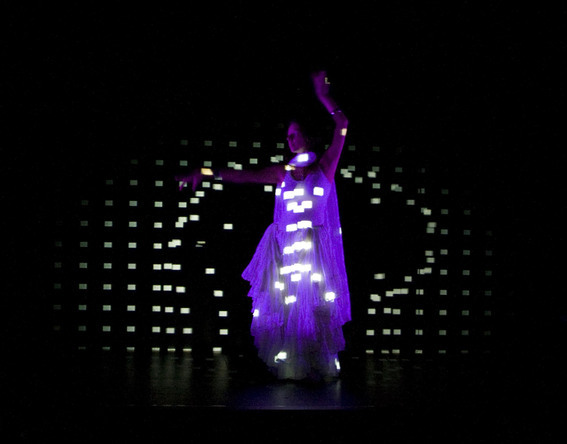 Data about performer movements can then be used to feed lighting, sound and audiovisual systems. This article covers how to collect movement data via threshold tracking in a theatre environment. It does not focus on how to use the data. The approach discussed here is also not the only way to collect this data. Forestation 2011 from Toby Knyvett on Vimeo. 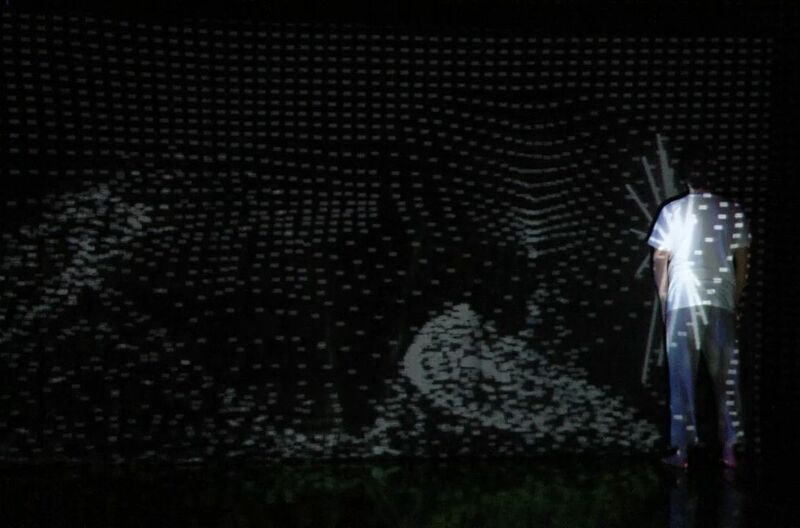 Forestation is an interactive artwork that turns physical movement into the DNA of a unique tree. Each tree is stored and placed into a digital forest which is projected above the markets. The trees are grown using a Lindenmayer algorithm which can be used to model real plant growth. 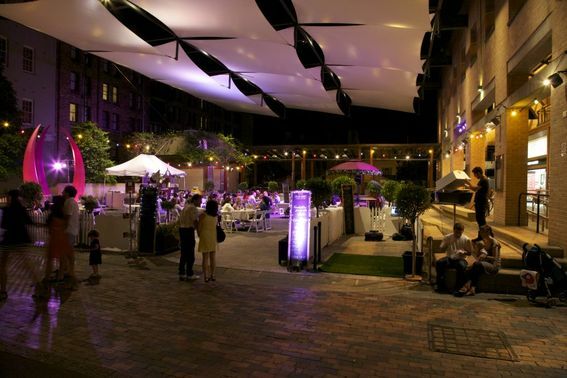 Footage from the Village Bizzare markets event in the Rocks, Sydney. Produced by Sydney Harbour Foreshore Authority. 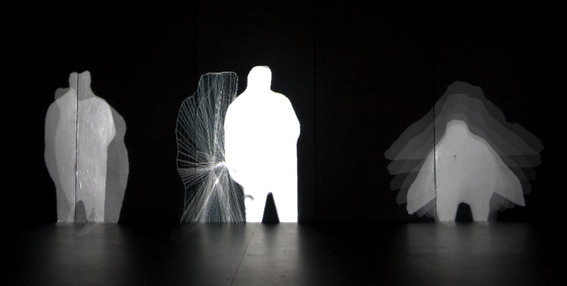 Feedback is a series of developments that explore relationships between light and the human body using interactive technologies. With Malcolm Whittaker, Kate MacDonald, Solomon Thomas, Joshua Craig and Justin Shoulder. 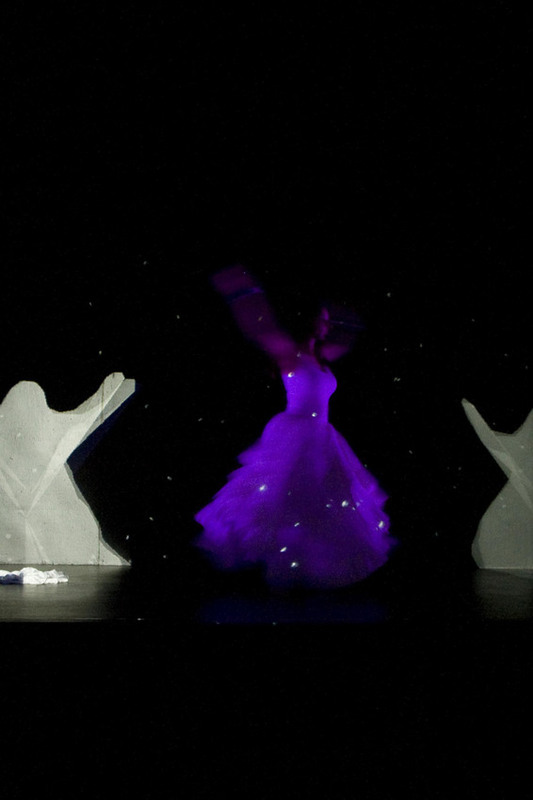 2011 Development supported by Performance Space, Critical Path and the Merrigong Theatre Development Program. A homage to the power of fantasy to get to the truth of the matter, superb & broken combines brilliant clowning with jaw-dropping aerial acrobatics by some of Australia’s finest circus artists. Performed at the Bruce Gordon Theatre, Illawarra Performing Arts Centre. Filmed by Martin Keyes. Feedback 2010 Tree Sequence from Toby Knyvett on Vimeo. Part of scene 1 from the first development of Feedback in 2010. Featuring Jessica Millman with audio by Wendy Suiter. Visuals by Toby Knyvett. 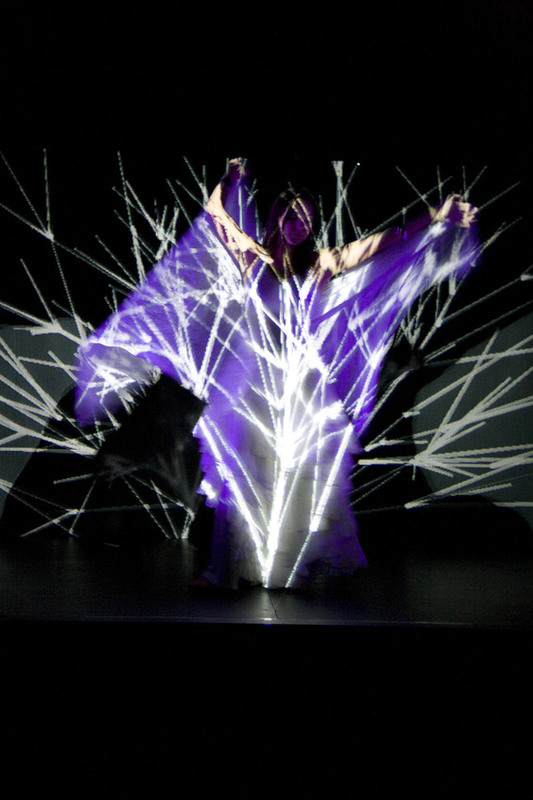 A digital tree is grown via a lindenmayer algorithm and manipulated by Jessica live. *Feedback* is a hybrid live work, conceived be me! The technology involved is an infrared camera, a projector and a sound system. The camera tracks the movements of a performer and feeds this data into a computer. The computer uses the data to generate vision and sound which is sent to the projector and speakers accordingly. 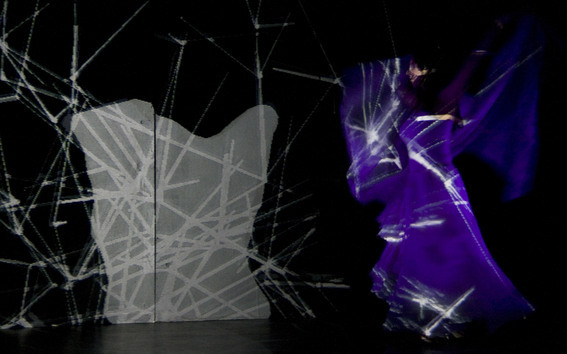 The concept is that performers work within an improvisational framework, reacting to the output of the digital system in generating the next frame of input. 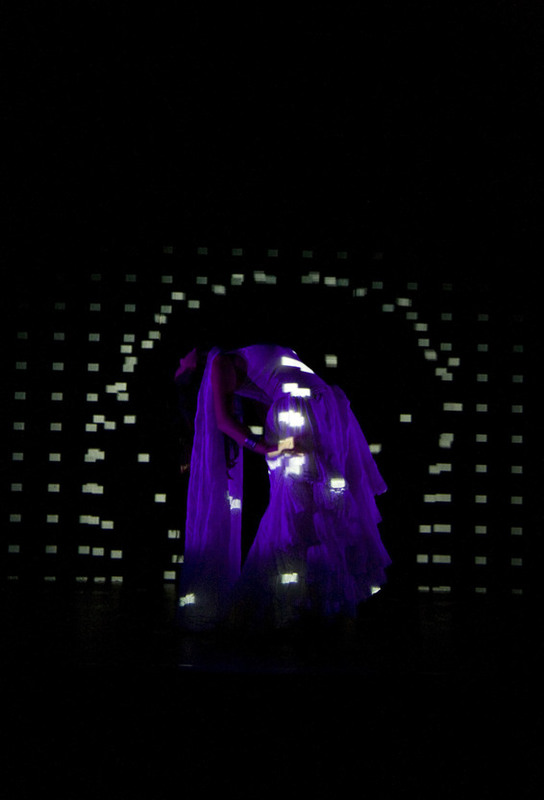 The relationships between performer and technology are explored in both literal and abstract ways. For example a performer using a Wii remote to record the movement of their shadow, and then play it back, rewind it etc…. 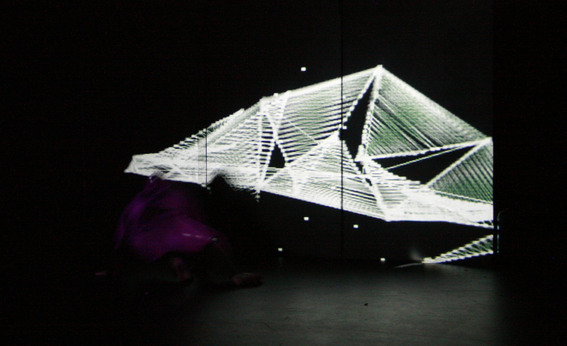 Or a digital tree growing, branch locations, sizes and angles (its ‘virtual DNA’) set via the performers movements.Over the course of the scene new behaviours emerge. than text or body. Aesthetically I aim for it to draw on lighting transitions as inspiration – transformative moments in a performance where the audience accepts that night has become day in an instant or that a celebration has become a funeral. 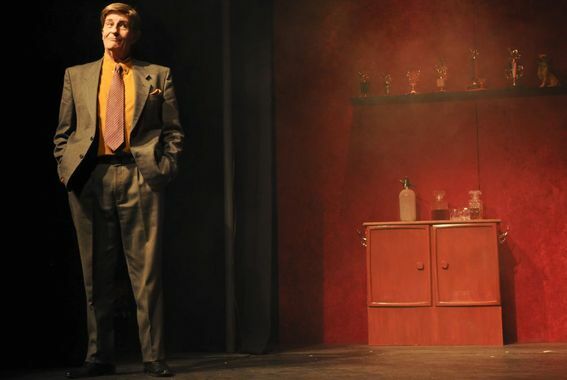 Special thanks: Everyone at Merrigong Theatre Company including Anne-Louise Rentell, Simon Hinton, Daniel Potter and Allan Doyle. Sarah Miller and Alistair Davies from the University of Wollongong. John Knyvett of Full Screen Ahead. I’m currently in the process of applying for funding to take Feedback to the next stage in 2011. I’m also planning to change my style of blogging to smaller, more frequent updates rather than big posts at the end of projects so keep an eye on this page for progress. backed by flats approx 5m x 2.4m. Stage and flats are painted black. lens height is roughly equivalent to performer head height onstage. quality but otherwise has no special features. networked to the first and connected to a sound system. either side of the stage theatre lights are mounted on floor stands. of the flats, but not the flats or floor. filter is made out of several layers of the #181 colour material. filter blocks most visible light, but passes infrared light through. person walks onstage they are illuminated with the infrared light. camera taking an image of the person onstage. behaviours set up for each scene of the showing. get a consistent tone on the floor. that the entire area is registered as changed pixels. that are both emergent and accessible. some way, from A to B.
the next frame of input. having an effect at all. believed they could, I’d need to put myself out there. I hoping it could communicate to an audience? build. You make the big moments big, the quiet moments beautiful. is, for me, a form of universal communication. through this big matrix of words and symbols. You just act. path that could get there. the process for the 2010 development? with an application to the Merrigong Theatre Development Program. non-consecutive weeks in the Gordon theatre for creative development. was lucky enough to get three composers and three movers involved. explore the concept of a feedback loop however they wished. sentimental algorithmic relationship between mover and machine. shape by ensuring we had more speakers on then off as time went on. more whilst I pounded out code and rewired things. movement of the dots is based on a mathematical attractor. through biofeedback from the audience. often be heard layering over each other. 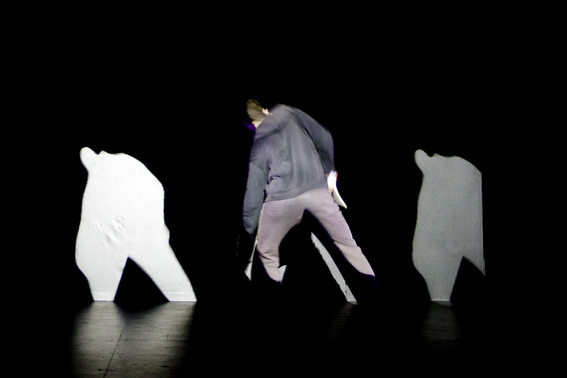 could distort the shape of the shadows using his live movement. to time properties of the audio samples. amount of DNA from its meals each time it ate. which were strongly recognised as an extension of the movers body. starts’ where they believe a relationship is established. audio algorithm was designed to trigger a drum machine via MIDI. onscreen so it was not immediately obvious that this was going on. in terms of seeing a clear loop, particularly with the audio. seemed to spark a lot of ideas about the potential of the technology. of the silhouettes crossed a trigger, rather than their edges. life. For me scene 3 is something I want to take much, much further. into separate human and machine agency, before perhaps merging again. relationship as a discrete element within the whole work. relationships in prior scenes that scene 4 failed to deliver on. isolated entity-machine as in scene 3). be a vital part of its next development. factor to keep in mind for future development. come out of the showings was a validation of my own view of the work. range of physical expression in their interactions. on the same framework as my previous output. (attractors) used in Scene 1.
start thinking of it as a narrative. to face the back wall. A high quality video camera to record the documentation. relying on timed changes or other arbitrary control. and responses are always welcome. 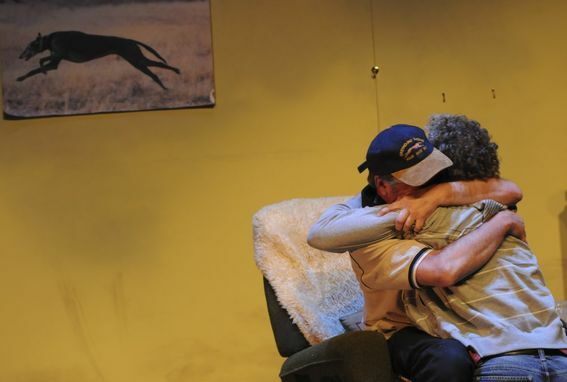 Merrigong Theatre Company for supporting my work. The Faculty of Creative Arts in the University of Wollongong for helping me realise that this was possible. The vvvv.org community for making this possible.